Others have said the same, but if you look at the ongoing improvement in quality of the wines from Giscours and Du Tertre, until today,− if you look at the enormous investments that have been made throughout the last 10-15 years,− if you take into account that Eric Albada Jelgersma had earned enough money to buy Giscours, and later Du Tertre, with the purpose and challenge to transform these potentially grand wines from mediocre crus to truly grand crus, it simply does not make sense to think that Mr Albada Jelgersma commanded to mix up some Haut-Médoc with wine from the Margaux appellation;− to make some minor short-term profit. On announced appeal yesterday's court judgement will probably − and hopefully − be reversed. Then for something completely different: drinking great wines. Yesterday I enjoyed two beauties: first a Puligny-Montrachet 1er Cru "Clavoillon" 1997 from Domaine Leflaive, and thereafter a L'esquisse de La Tour Figeac 2001. Two very different wines that have one thing in common: advice on biodynamics from guru François Bouchet. Bouchet also consults at Leroy and Chapoutier. To start with the last wine: L'esquisse de La Tour Figeac − the second wine of Château La Tour Figeac − has quite an impressive background, and I could name it "a small Cheval Blanc" (a description that commercially always works well). The reason: until 1879 La Tour Figeac was part of Figeac, and until 1830 Cheval Blanc and Figeac also belonged together. Ergo: La Tour Figeac and Cheval Blanc belonged together. And with the following the connection is even tightened: Cheval Blanc is known for its high proportion of cabernet franc, and such is the second wine of La Tour Figeac (70% for the 2001 vintage). The vines used for the L'esquisse de La Tour Figeac are also mainly found in the 'Cheval Blanc corner' of La Tour Figeac. Nice fun facts, but is the wine drinkable? Yes, very much! Beautifully à point now after seven years. Lots of depth and tension. Pure, and a little earthy. Delicious black fruit, succulent and supple. 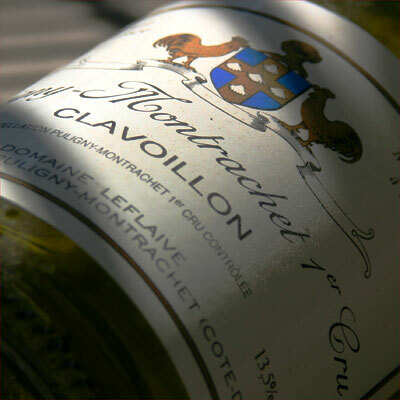 The second biodynamic wine was the one that we started the evening with: a Puligny-Montrachet 1er Cru "Clavoillon" 1997 from Domaine Leflaive. Tasting note: fat, ripened nose. Hint of hay, as soft as butter on the tongue, and in the mouth. Broad and complex, yet refined − a perfect whole. Round acids in a long tender finish. Hazelnut. An exalted white, and so vital for its age. Anyway, all honour to the biodynamic wines. Again a great experience.